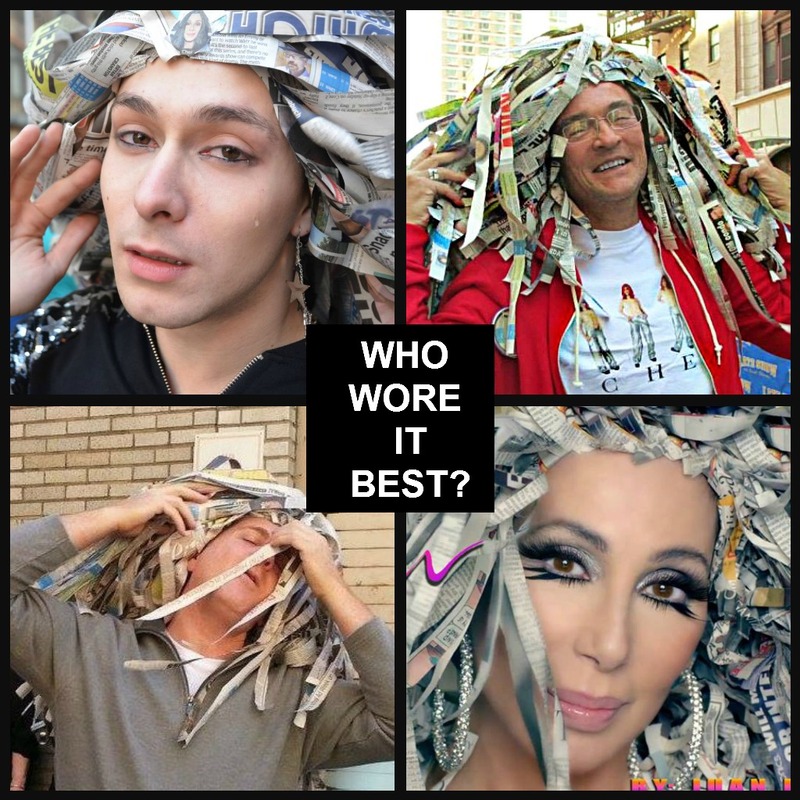 Photo of the day: WHO WORE IT BEST? – Whilst waiting for Cher to make her en-trance and exit from the David Letterman show, we Cher fans had a little fun with a replica of the now iconic paper wig that Cher wears her new “It’s A Woman’s World” video. Our wig was made by awesome super fan Jamilka Gonzalez. So…who wore it best?